When it comes to commercial construction projects, it’s not enough for the land to simply look level, it needs to be level! Leveling the ground, or grading, is an important step in creating a proper foundation for parking lots, buildings, and roads. At Gary Barnett Dirt Contracting, we take pride in serving as your grading experts, bringing our expert services to commercial build sites through Oklahoma. Not only will we create a level surface for your building’s foundation, but we also offer final grading and can distribute dirt strategically to allow for water runoff to flow in the best direction for your particular building site. Without proper final grading, water runoff can disrupt your structure and cause erosion over time. With more than 20 years in business, Gary Barnett Dirt Contracting has extensive grading experience, and we can handle even the most challenging site grading. Whether it requires cutting dirt from higher areas to fill in low spots or leveling the land after the removal of trees and brush, we have the experience and equipment necessary to handle jobs large and small. 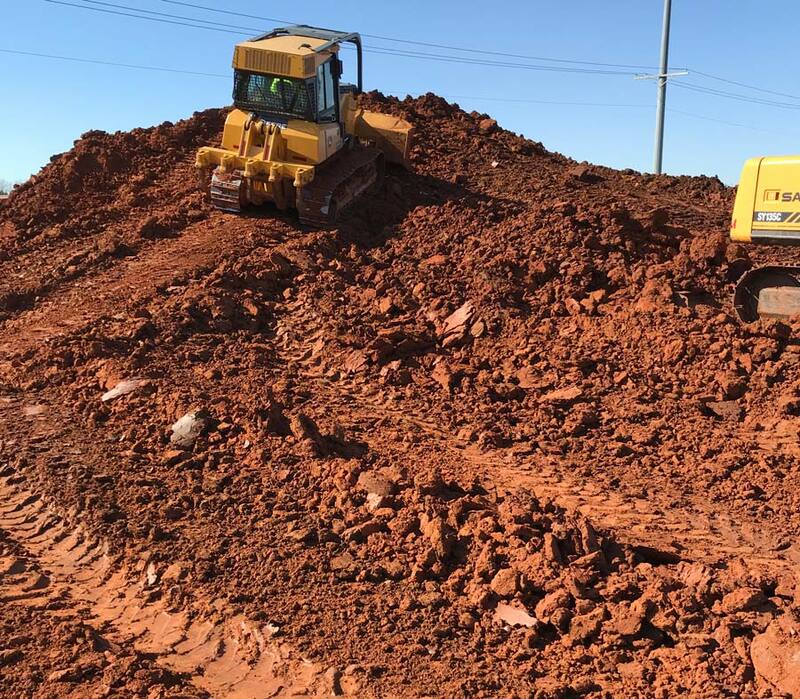 Wherever your construction project is in Oklahoma, whatever you’re building, you can trust in Gary Barnett Dirt Contracting to provide you with the leveling and grading you need. Contact us for a quote on our services. We appreciate the opportunity to serve you!